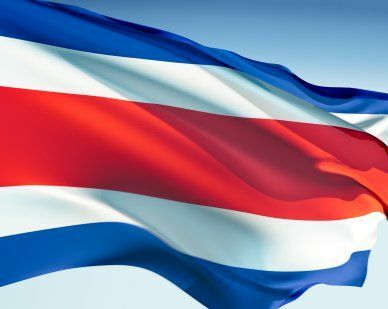 The Costa Rica flag features five horizontal stripes. Designed in 1848 and made official in 1906, it was designed by Pacífica Fernández and is based on the French flag. The color blue represents the sky, perseverance and idealism. White stands for wisdom, peace and happiness. Red symbolizes the blood of the people who sacrificed for independence. Our top-quality Costa Rica flags conform to all official specifications. Emblems and designs are executed with the highest possible degree of accuracy in regard to detail, color shades, placement and proportion to flag size.